A collaboration 20 years in the making…Our dear friend, celebrity stylist, and TV personality Robert Verdi designed these fabulous bags for the Great Bag Co. and we are so excited to share them with you. 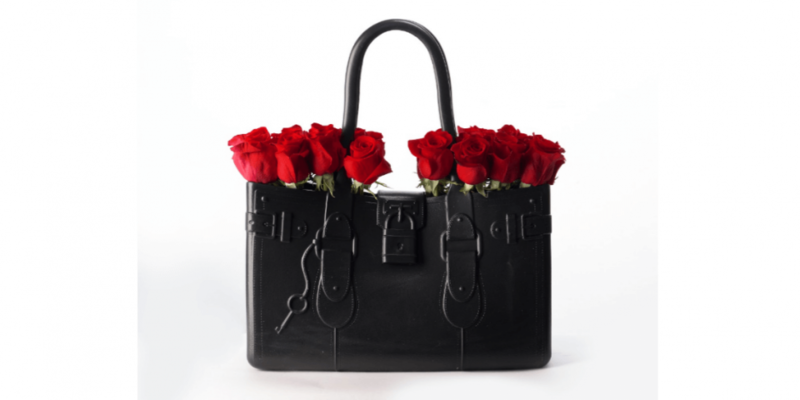 The black rubber waterproof tote is filled with two dozen red Freedom Roses arranged in a low grid to compliment the modern, bold design. Once the flowers perish, this chic bag makes the perfect fashion accessory.